Justin Nimmo was born in North Tonawanda, New York, the famous home of the Rudolph Wurlitzer Co. Although he began his organ studies on an electronic organ at age 5, it wasn’t until he was thirteen years old that he had his first opportunity to play a real theatre pipe organ. Invited to attend an open console session at the historic Riviera Theatre in North Tonawanda, Justin was thrilled to get to play the Riviera’s Mighty Wurlitzer Theatre Pipe Organ. Recognizing his interest and talent, the Niagara Frontier Theatre Organ Society allowed him access to the Riviera organ to practice and further develop his theatre organ style. At the “young” age of 16, Justin was officially named as one of the house organists for the Riviera Theatre where he was regularly featured playing overtures and other programs. It was here where he also began developing basic skills in the maintenance of these fine instruments. Following his successes at the Riviera, he was invited to play overtures for the classic film series at Shea’s Buffalo on the large 4/28 Wurlitzer Theatre Organ. He has also appeared in recent years as guest organist filling in for Clark Wilson at the Ohio Theatre in Columbus, Ohio performing overtures for the Ohio’s film series on the large 4/33 Robert Morton Theatre Organ. He can also be heard playing overtures for the Footlight Musicals series at the Hedback Theatre in Indianapolis on the small, but lively 2/11 Wurlitzer. He also travels occasionally performing concerts around the US. 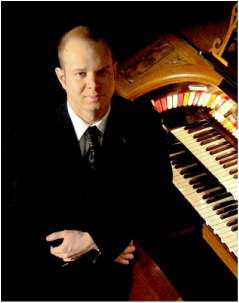 Nimmo resides in Indianapolis, Indiana where he is a member of the Central Indiana Chapter of the American Theatre Organ Society and often performs for Chapter events. 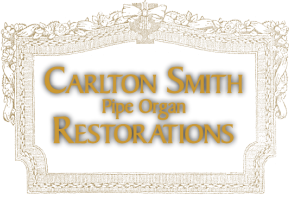 He has been employed by Carlton Smith Theatre Pipe Organ Restorations since 2004 where he has further developed his theatre organ skills to include the installation and restoration of theatre organs. Justin is a 2005 and 2006 recipient of a scholarship from the American Theatre Organ Society and has studied with renowned theatre organ teacher John Ferguson. In 2011 he was awarded the Theatre Organ Apprenticeship Award by The American Theatre Organ Society, the only such award given to someone as of 2015.